So you've spent days and weeks prettying up your website, making sure your logo is in the right place, the color is perfect, and the copy and wording screams... "take my money now!" What else is there to do right? Well, I'm going to tell you how to take your website to the next level and it's all free! 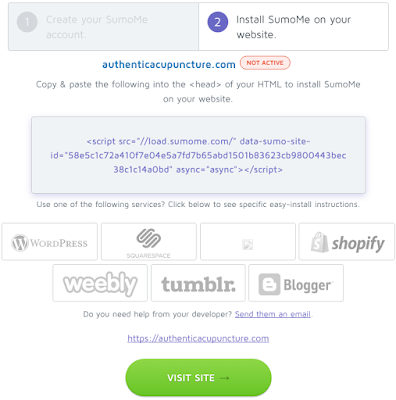 What is SumoMe? SumoMe, as they say on their website, is a set of "Tools to Grow Your Website's Traffic." These tools are a bundle of all the tricks the great internet marketers have figured out! For example, one of the tools is called "List Builder" (which we'll focus on today) and it helps you increase your email signups. How awesome is that?! The way List Builder works is that it's an automatic newsletter signup popup for your website. 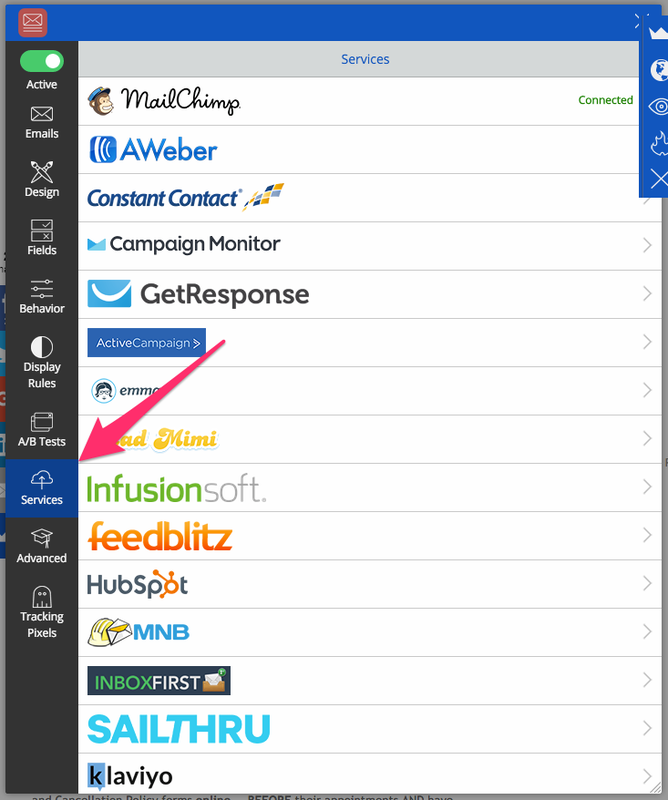 The popup brings the signup front and center for your visitors and makes signing up a cinch for them. 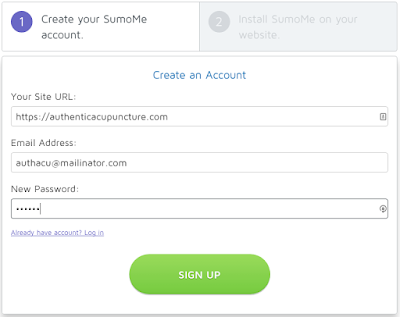 To signup for a SumoMe account, go over to SumoMe.com. 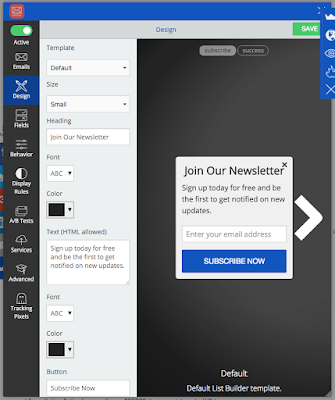 On the next screen, you'll be given the script to copy and paste into the <head> tag of your website's HTML. Easy peasy and they even have easy-install instructions for various website services! 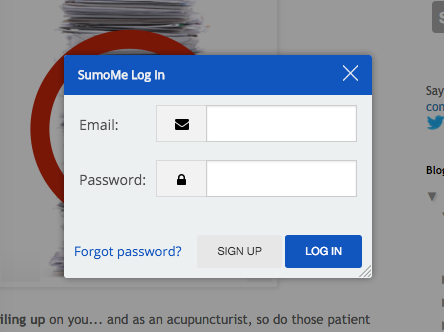 Once you've installed the code, click the "Visit Site" button and you'll load your website with the SumoMe login! 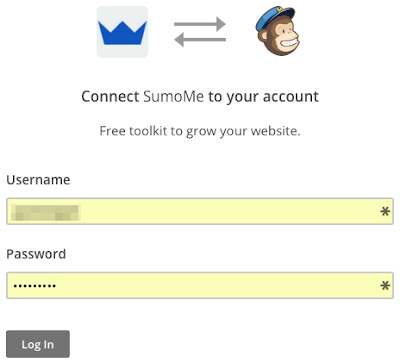 Like, I mentioned before, SumoMe is a collection of apps or tools. 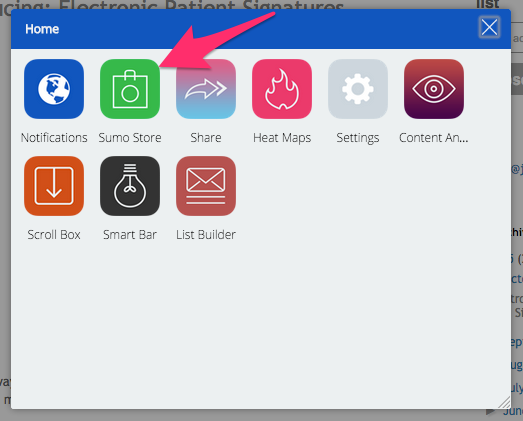 So, after logging in, click the green Sumo Store button to install the List Builder app. Now, click the List Builder button under the Email subsection. After that, click the Free button and then Open. The free version of List Builder allows some simple design and customizations. I won't go much into it since much of it is personal preference, so take a look! Now let's connect List Builder to Mailchimp! Click on the Services tab and click MailChimp. And click on the big, fact Connect button. OMG, it's so big, I'm not even going to draw an arrow to it. You'll get a popup to provide your MailChimp credentials. Next, use the Mailing List drop down to choose the list where email signups will go and click Save to finish! 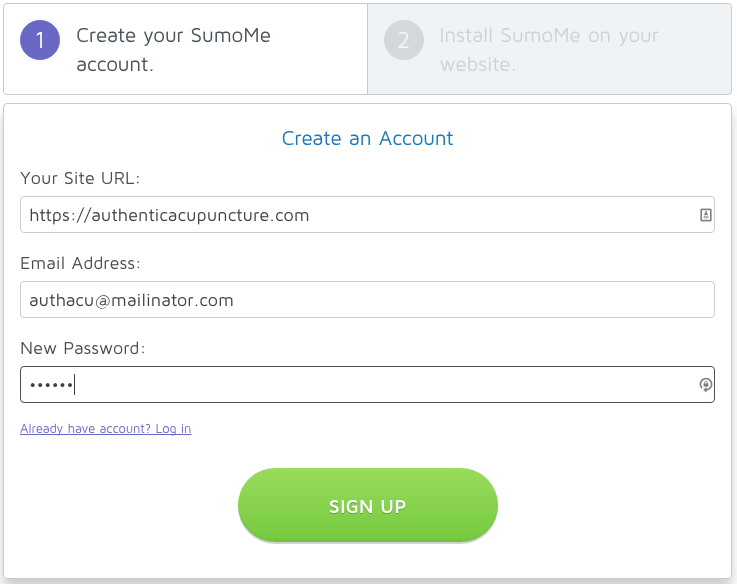 Now your acupuncture website is ready to collect email addresses and grow your audience! We'll go into some of the other SumoMe apps later. Feel free to explore before then and have some fun and grow your website traffic!